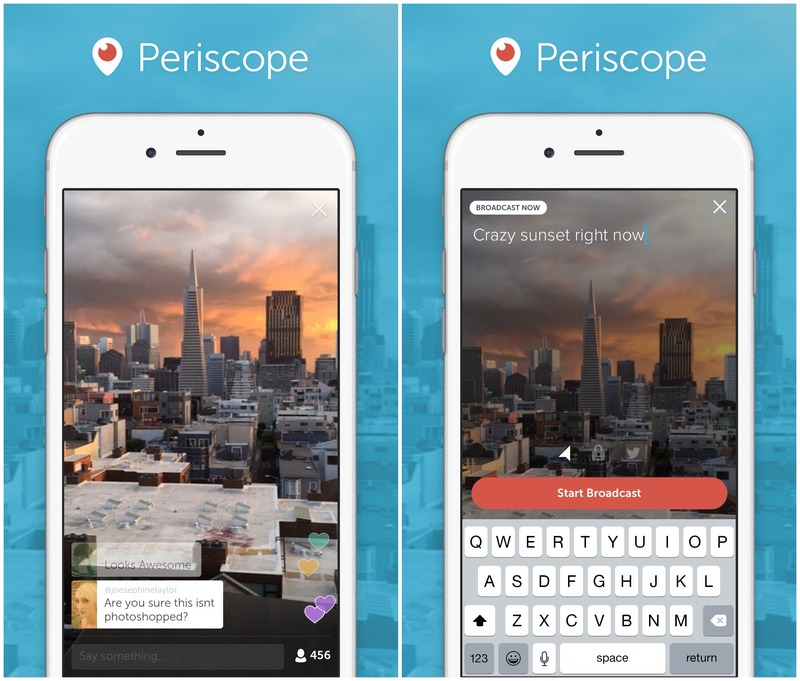 What is Periscope and how can it help your blog? The other day I went out for a walk in the countryside with my kids. A lot of people joined us on that walk, and yet most of them weren’t there. The reason they were able to join us was because we broadcast the views from our walk via Periscope. 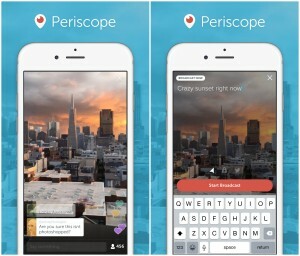 Periscope is a live streaming smartphone app with over 10 million users. If you have the app on your phone, you can film whatever you want to and people can watch it live from wherever they are in the world. They can also watch a replay of your broadcast as the link stays live for 24 hours. After that, your broadcast expires, although you can choose to save the file on your phone if you want to keep it for longer – perhaps as a YouTube or Vimeo video. A Periscope broadcast can contain anything at all – it could be you talking to camera; or you can film whatever you’re seeing or doing that day. You can choose in the settings whether to make your video totally public, or just to restrict it to particular users such as your friends or family. Viewers who enjoy your video can send hearts of appreciation just by tapping their screen. They can also send messages which you can reply to if you want. There are no age restrictions in Periscope’s terms of service, but that doesn’t mean that it’s suitable for kids. In fact, quite the opposite. Since people can broadcast whatever they want to, it doesn’t take much for content to be 18-rated, either because of what’s being filmed or the language being used. In addition to this, you never know who’s watching with a public broadcast. There is no filter to the comments people can send (other than the option to turn them off entirely) so you could easily receive offensive comments. You can easily block commenters you don’t like, but you would still see their comments before you block them. For these reasons, I wouldn’t let my children use Periscope via their own phone, but I will use it myself when I can monitor exactly what we’re filming or watching. Because it can really be a lot of fun to share a little of your life with the world and see how others live too. How can Periscope help your blog? Periscope brings an extra dimension to a blog, and helps both readers and viewers get to know the blogger better. If you’ve been thinking of adding a YouTube channel to your blog then Periscope could be an easier way to do that. If you’re under 16, only use Periscope with your parent’s permission. Discuss it before you download and if they’re not happy about you using it, don’t do it. Watch lots of broadcasts/scopes before you create one of your own. Remember there’s no rule that says you have to broadcast so if you just want to watch that’s fine. Practice by doing a private scope which isn’t publicly broadcast. Ensure you know how to block someone if you get any comments you don’t like. Using Periscope will use a lot of your phone’s mobile data allowance so stick to wifi when you can. If you’re filming someone, get their permission first (or their parent’s permission if they’re under 18). joyoux you are looking good. I Love periscope to interact with my fans.